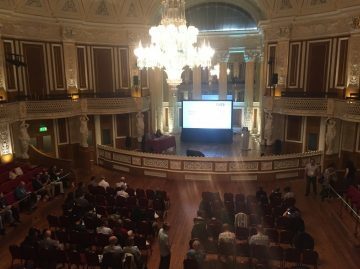 With support provided by a CBR Post-Doc Travel Award, I had the opportunity to attend the biennial Pseudomonas conference between September 5 and 9, 2017 in Liverpool, UK. This conference primarily focused on bacteria from the Pseudomonas genus and brought together researchers from all over the world. During this meeting, various exciting research topics were covered including evolutionary biology, infections and host-pathogen interactions, signalling systems, genomics, and biofilm research related to antibiotics and resistance. I had the opportunity to present a poster which described a cutaneous murine abscess model using the important human pathogen Pseudomonas aeruginosa. This model could potentially be a game changer in the field since it can be easily implemented without technical challenges and can be used to study acute and chronic infections. I used this model to treat high-density bacterial infections with synthetic anti-biofilm peptides developed in our lab. I furthermore showed that the mechanisms of action of these peptides could be linked to the stringent stress response in vivo. My work was of significant interest to other attendees at the conference, and I got a chance to talk with many experts and shared many ideas while learning about the thrilling work being done by others in the field. Overall, the conference had a great mix of interesting, inspiring, and insightful talks and posters. 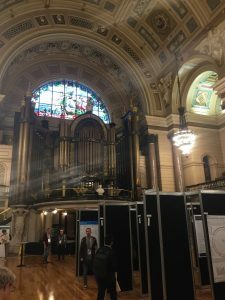 The breathtaking venue of the meeting was at the UNESCO World Heritage St. George’s Hall, one of the finest examples of neo-classical architecture in the world. 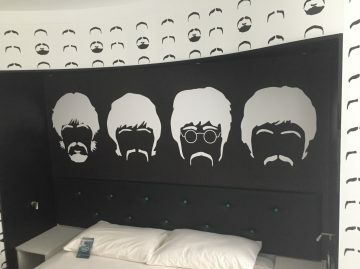 During my trip, I also got a chance to see the city of Liverpool, the birthplace of the Beatles, and visited numerous tourist attractions, including the Liverpool cathedral and the Albert Dock. I also enjoyed the local pub experience and British culinary delights.